Well, here it is, May 19, 2010… blog #1. While I’m not a newbie to cyberspace, I guess you could say I’m a bit of a novice when it comes to contributing content to the realm commonly called the blogosphere. I don’t remember exactly when I first heard that term but I do vaguely recall being amazed that blogging had grown to a level that a subsection of the internet had been named specifically for it. About 10 years ago (2000-ish), my mother asked me what a blog was and if I knew where the term came from. At the time, my job involved computers so she thought of me as someone “in the know” when it came to technology and the internet. I told her I had only recently heard of the term and wasn’t completely familiar with it but my limited understanding was that it was essentially an online dairy or journal. I explained that some people were writing about their experiences – both personal and business – and posting that information online for the world to see (My thought at the time was “Who in their right mind would want to do THAT?!”). As for the term blog, I told her I did not know the origin but would research it and get back to her. Today, in hindsight, I’m a little embarrassed I didn’t know where the term came from. Knowing it involved online journaling, it would not have been a big stretch to suspect it was a contraction for the words web and log. The terms World Wide Web and Web were fairly commonplace by that time, having originated in the early 1990’s. Today, blogs seem to be taking over the internet. As for the impromptu definition I provided my mom a decade ago, at least I was partially correct. I recently asked one of my sisters if she had ever heard the term blogosphere. Although she is a fairly frequent surfer of the internet, she had not. With that in mind, I thought it might be prudent to provide some generally accepted definitions of key terms used in this post. A blog is a type of website, usually maintained by an individual with regular entries of commentary, descriptions of events, or other material such as graphics or video. Entries are commonly displayed in reverse-chronological order. “Blog” can also be used as a verb, meaning to maintain or add content to a blog. A blogger then, of course, is one who writes and posts blogs on the internet. A decade ago, my question was: Why?! Today, I have a fairly good understanding of the various reasons people spend their time blogging and this blog is a good opportunity to share them. Why Does a Blogger Blog? What I once thought was a fad for hobbyists and journalist wannabe’s, blogs have turned out to be an essential tool for the success of many websites. To begin with, a well maintained blog can help a website rank higher on search engine result pages (SERPs). This is because search engine algorithms (used to index and rank websites) give more weight to sites with regularly updated, relevant content. 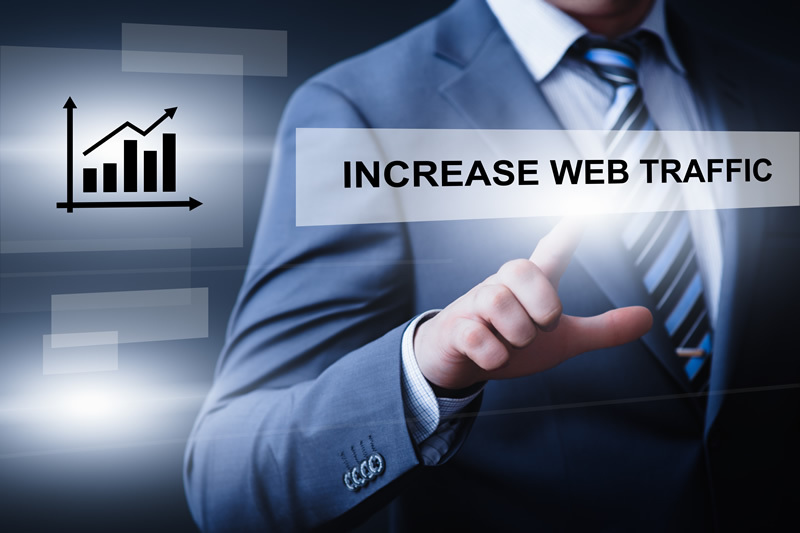 Higher rankings on SERPs can increase visitor traffic to a website, and increased visitor traffic can result in larger profits for an online business or larger exposure and influence for a nonprofit entity. Professional bloggers, those who do it for a living, usually write about and promote their business, of course – but not always. As long as a topic has relevance to the blogger’s business or industry, directly or indirectly, it’s fair game. The objective is to write interesting, compelling articles that generate traffic to the company website and, ideally, bring readers back. Independent bloggers usually write about something they are passionate about or interested in. Some do it because they have something to say, while others do it as a means to make money through ad revenue and/or affiliate marketing. The process of blogging helps spread the word quickly and in many cases expands the writer’s knowledge of the subject during the research process and through comments from site visitors. Blogs offer a vehicle for reporting news and information that is not constrained like traditional media such as newspapers, TV and radio. Self funded authors can use whatever language they like with no concern about sponsors or producers or being politically correct. Finally, blogs can be updated 24 hours a day, seven days a week and therefore can be timelier with news and commentary than traditional media. This has great appeal for people that use a smartphone or other mobile device for obtaining news and information. Recently, I did some research to identify the total number of blogs on the internet. I wanted to quantify how popular this phenomenon called blogging has become. My goal was to cite credible sources, ideally as of 2009 or 2010. It quickly became clear to me that specific, current, reliable numbers are a real challenge to come by. The following figures are primarily from Technorati’s 2008 State of the Blogosphere. Interestingly, while the more current 2009 report offers an in-depth analysis of blogger demographics as well as some great interviews, it does not provide the same type of quantitative detail included in their prior year reports. Hence, the stats are not as current as I would have liked. 133 million blogs were indexed by Technorati between 2002 and 2008. Number of blog posts in a 24 period: 900,000. Blogs have representation in top-10 website lists across all key categories and have become integral to the media ecosystem. 95% of the top US newspapers had reporter blogs by 2008. Technorati tracked blogs in 81 languages in June 2008, and bloggers responded to their survey from 66 countries across six continents. 2004 (July): 3 million blogs tracked by Technorati. 2005 (Oct): 19.6 million; number of blogs tracked by Technorati doubled every 5 months since they started tracking in November 2002. 2006 (Oct): 57 million blogs; on average, approximately 100,000 new blogs were created each day. 2007 (April): 70 million blogs; approximately 120,000 new blogs created worldwide daily; that’s about 1.4 blogs created every second. 2008 (Aug): 133 million blogs tracked. 2009 (Oct): total worldwide blog count is conspicuously missing from Technorati’s State of the Blogosphere report. If the blogosphere is really doubling in size every year, a reasonable estimate of the current size of the “active” blogosphere would be between 30 and 60 million blogs. To put that in perspective, I considered providing you with the “total number of websites worldwide” but guestimates of that number range from 100 million to well over 200 million. Rather than go down that road, I think it’s safe to simply say… blogs are here to stay. Getting traffic to a blog isn’t easy huh? I remember when I first started. lol I was really BAD! I spent hundreds buying fake traffic from scammers at DP. I tried email scams (where I was scammed, of course). I even hired an Indian seo guru. lolol I’m still learning the art of blog/site traffic, but Jesus I’ve come a long ways. So can you share any secrets on how you increaded your readership? I just posted something about rapid mass traffic (cheap, targeted traffic) that you may want to check out when you can here. Mind me asking how many daily visitors you’re up to man? Joe: I am a believer in the “Content is King” concept when it comes to generating site traffic. As of next week I will be taking a break from website builds and will be totally focused on blog articles for a while. I have a pretty long list of articles I plan to compose. They are geared toward: 1) providing useful information for online entrepreneurs, 2) expanding/honing my web skills/knowledge, 2) aligned with results from Google’s search-based keyword tool. To answer your question about my daily number of visitors, for this particular site its pretty low because the blog is a new addition. Hopefully, I will have some substantial numbers to report by the end of this year. Thanks for the straightforward info about the topic. Helps clarify.